If there’s one organ in our body that can be dubbed a troublemaker, it’s the colon. The final part of the digestive tract, the colon is responsible for essential functions such as fluid reabsorption as well as waste processing and elimination. The organ is populated by a myriad of different bacteria that promote healthy digestive functioning. Despite the importance of our colon, we tend to ignore it. Sometimes, we neglect even the obvious signs of a problem, like persistent bloating or irregularity. When it comes to our digestive health, we assume that the body will take care of the problem. But if we don’t do our part, the problem will only get worse. The reason why the colon needs our attention is simple. A problem in the colon can give rise to a host of different diseases affecting both the digestive tract and other body systems. When the waste and toxins that accumulate in our colon do not get eliminated in a timely and efficient manner, our bowels become clogged. 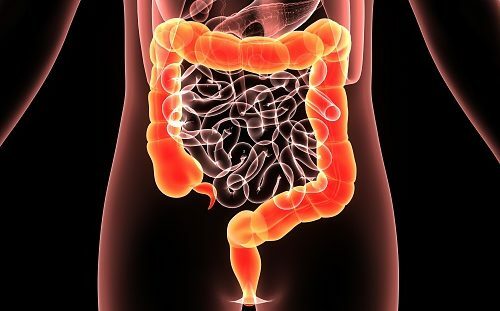 As a result, the colon can no longer absorb water, vitamins, and minerals into the blood. This can translate into nutrient deficiencies, fluid imbalance, and indigestion. And that’s just the tip of the iceberg. A toxic colon can cause unnecessary stress on the heart, affect the lungs, cause bad breath, make you gain weight, disrupt your sleep, and even bring about memory problems, mood swings, and fatigue. Improper toxin elimination means extra work for the liver. Weak muscles and stiff joints can also be side effects of your colon intoxication—or rather, autointoxication or self-poisoning. As a result, you end up in a sort of cul-de-sac. You need clean blood to maintain your health, but to have clean blood, you need to have a healthy colon. First, as with any other health problem, it’s always easier to avert a crisis rather than deal with its aftermath. If your colon doesn’t cause you any trouble, make sure you continue to support its healthy functioning. Prevention, in most cases, is all about lifestyle. What we eat and how we live substantially affects our colon. Ideally, the transit time of food through the digestive system should be under 24 hours. However, for many people nowadays, this is a target that is hard to reach. One culprit is the food we eat. The popularity of processed foods means we ingest loads of sugar and not enough enzymes and fiber. At the end of the day, you end up with waste accumulation in the colon. There is a reason why experts consider the vegetarian diet a good preventive strategy against digestive problems and even colon cancer. Lots of veggies mean lots of fiber, and when it comes to colon health, fiber is everything. When the microorganisms populating the digestive tract don’t get enough of fiber, they use up the mucous layer lining the intestines, exposing the colon walls to dangerous bacteria. Fruits, vegetables, and whole grains are packed with the fiber you need. This doesn’t mean you have to become vegetarian, but shifting your dietary focus toward the greener side can make a big difference for your colon health.